Your teachers can now us the Time Sheet to record their teaching hours. From the Teacher Portal, they will click on Time Checker. They can enter in their weekly teaching hours here. 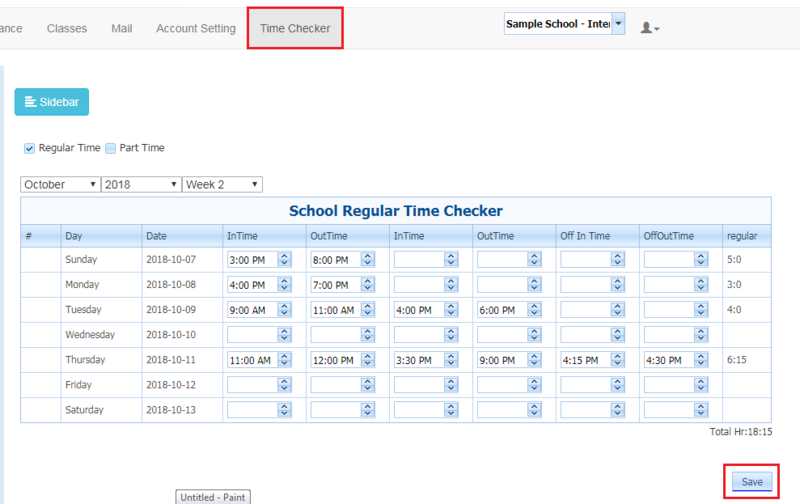 As the Admin User, you will be able to edit and view the Time Sheet once the teachers enter the hours from the Teacher Portal. Regular Hours and Part-Time hours can be entered. Choose the Month, Year and Week. 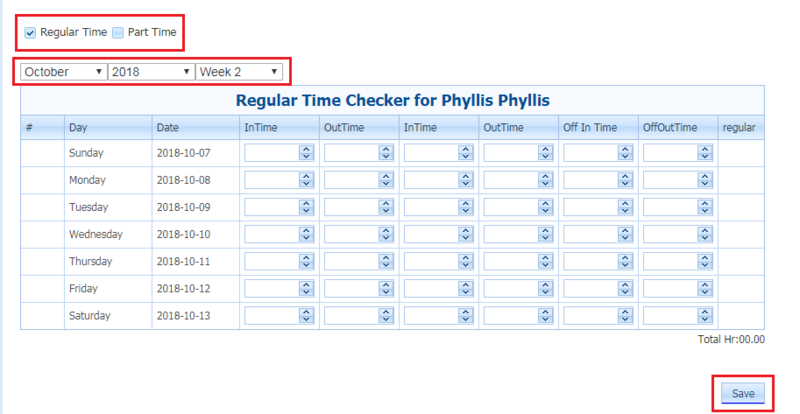 Once the hours are saved, it will generate a weekly total under the “Regular” column and a Total Hour count at the very bottom.